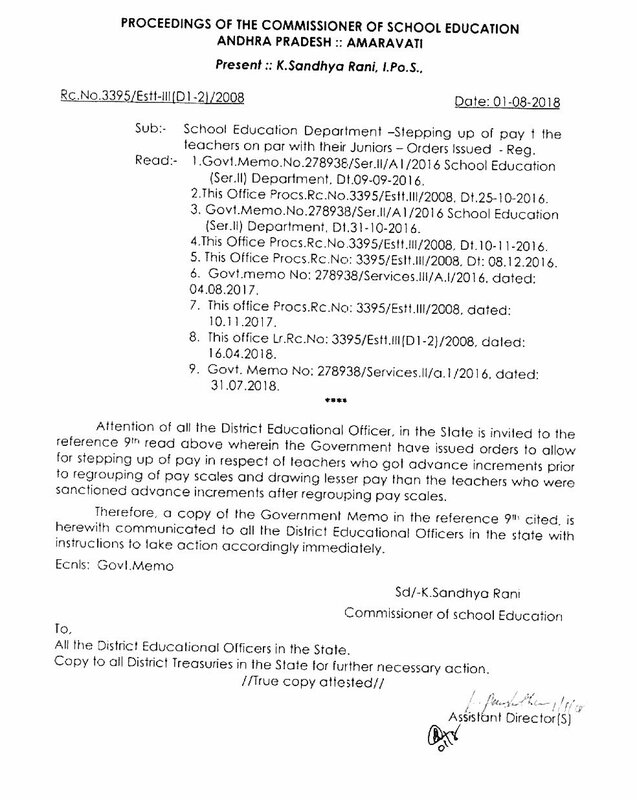 Attention of all the District Educational Officers, in the State is invited to the reference 9th read above wherein the Government have issued orders to allow for stepping up of pay in respect of teachers who got advance increments prior to regrouping of pay scales and drawing lesser pay than the teachers who were sanctioned advance increments otter regrouping pay scales. Therefore, a copy of the Government Memo in the regrouping 9th Cited. is herewith communicated to all the District Educational Officers in the state with instructions to take ction accordingly immediately.